Japanese Illustrator Aya Kakeda is speaking on her work and obsessions as part of her 4 day residency in the MFA in Illustration Practice program. 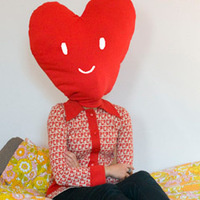 Aya currently works and lives in Brooklyn, New York. Clavariaceae and star nosed moles. Aya also elaborates lots of theories about lot of things. When she doesn't indulge in her obsessions she paints and draws, creating her own whimsical narratives. Sometimes she embroiders or performs. Her clients include: NIKE, Delta, Nickelodeon, Noggin TV, Nick Jr., The NewYorker Magazine, New York Times, Brown University, School of Visual Arts, Bust Magazine, Timeout Chicago , Boston Globe, and b**** Magazine to name a few.